The daughter of slaves, Madam C. J. Walker was orphaned at seven, married at 14, and widowed at 20. On Her Own Ground is a comprehensive biography of an unusual entrepreneur and philanthropist. Contains personal letters, records, and rare photographs from the family collection. Photos. Born to former slaves on a Louisiana plantation in 1867, Madam C.J. Walker rose from poverty and indignity to become America's first black female millionaire, the head of a hugely successful company, and a leading philanthropist in African American causes. Renowned author Alex Haley became fascinated by the story of this extraordinary heroine, and before his death in 1992 he embarked on the research and outline of a major novel based on her life. 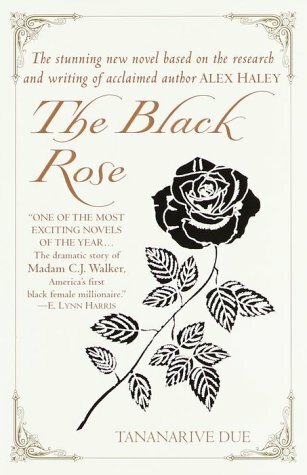 Now with The Black Rose, critically acclaimed writer Tananarive Due brings the work to inspiring completion. "I got my start by giving myself a start," Madam C.J. was fond of saying as she recounted her transformation from the uneducated laundress Sarah Breedlove to a woman of wealth, culture, and celebrity. Madam C.J. was nearing forty and married to a maverick Denver newspaperman when the wonder-working hair care method she discovered changed her life. Seemingly overnight, she built a marketing empire that enlisted more than twenty thousand bright young African American women to demonstrate and sell her products door-to-door. By the time she died in 1919, Madam C.J. Walker had constructed her own factory from the ground up, established a training school, and built a twenty-room mansion at Irvington on the Hudson, New York, called Villa Lawaro. A dynamic, brilliantly creative businesswoman, Madam C.J. also became a tireless activist in the fight against racial oppression and a key figure in the antilynching movement. A stalwart "race woman," she worked with black leaders like Booker T. Washington, and her legacy inspired poets like Langston Hughes. Yet she paid a steep emotional price for her worldly triumphs. Betrayed by her husband, plagued by rumors of her beloved daughter's scandalous behavior, Madam C.J. suffered the private pain and disappointment all too familiar to many successful women. In the tradition that made Alex Haley's Roots an international bestseller, Tananarive Due blends documented history, vivid dialogue, and a sweeping fictionalized narrative into a spellbinding portrait of this passionate and tenacious pioneer and the unforgettable era in which she lived. 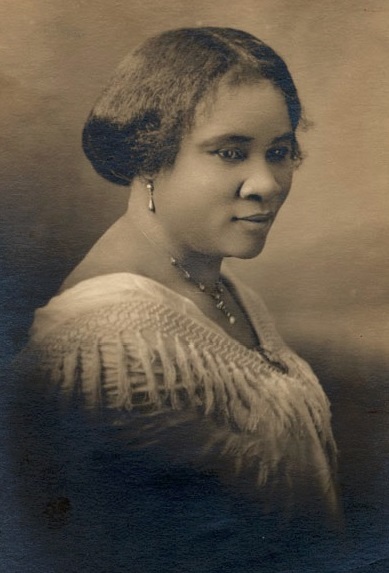 "Madam C. J. Walker ranks among the greatest African-American philanthropists in the nation’s history. When she died in 1919, Walker was widely eulogized as the first woman to become a self-made millionaire. The assumption may not have been correct; the estimated value of her remaining estate at the time of her death was $600,000 (about $8 million in today’s dollars). Nonetheless, several generations of African Americans looked upon her as proof that dramatic economic success was possible for blacks as well as whites. She decided to begin her own line of hair-care products, created specifically for African-American women. From her travels, she knew there was a national market; from her time in Denver, she knew she needed to relocate her budding business. The Walkers spent over a year traveling through the South, building the foundations of a mail-order business, before deciding to set up shop in Pittsburgh. By 1908, she had trained hundreds of sales agents. A visit to Indianapolis in 1910 convinced the Walkers that it would be a good location for a more permanent headquarters. In 1916, Walker moved to New York to be closer to her daughter Lelia. Deciding that she needed a house of her own, she bought 4.5 acres in Irvington-on-Hudson and built a mansion at a cost of $100,000. When she was diagnosed with hypertension and nephritis in 1917, Walker was advised to curtail her activities. Instead, she accelerated he speaking schedule, until illness made travel physically impossible. “I am in the business world, not for myself alone,” she told Booker T. Washington in 1912, “but to do all the good I can for the uplift of my race.” She worked toward that goal not only through her philanthropic activity, but by giving thousands of African-American women well-paying and dignified jobs as commissioned sales agents. As the New York Post acknowledged following her death, Walker’s rags-to-riches life demonstrated that the American dream of personal success—and then sharing that success with one’s fellows—applied to blacks as well as whites, and that talented and generous citizens of any color “may rise to the most distinctive heights of American achievement.”"
Klem, Monica. "Madam C. J. Walker." The Almanac of American Philanthropy, Karl Zinsmeister, The Philanthropy Roundtable, 1st edition, 2016. Credo Reference, https://columbiacollege.idm.oclc.org/login?url=http://search.credoreference.com/content/entry/philalmanac/madam_c_j_walker/0?institutionId=5445. Accessed 05 Dec 2017. Styling Jim Crow focuses on the beauty education industry in racially segregated communities from World War I through the 1960s. In this study of two black beauty companies of the Jim Crow era, Julia Kirk Blackwelder looks at the industry as a locus of black entrepreneurial effort and an opportunity for young women to obtain training and income that promised social mobility within the African American community. Blackwelder demonstrates that commerce, gender norms, politics, and culture all intersected inside African American beauty schools of the Jim Crow era. The book centers on Marjorie Stewart Joyner of the Madam C. J. Walker beauty chain and James H. Jemison of the Franklin School of Beauty, two educators who worked throughout their business lives to liberate women from the clutches of racial prejudices. They stood at the helms of enterprises that brought self-reliance and pride of accomplishment to generations of African Americans. In Blackwelder's well-documented story and clearly argued analysis, the history of African American beauty education shows how succeeding generations of black women, in the face of seemingly overwhelming odds, freed themselves from a life of service to whites and advanced into dignified economic independence though work that they and their clients valued for its intangible worth. 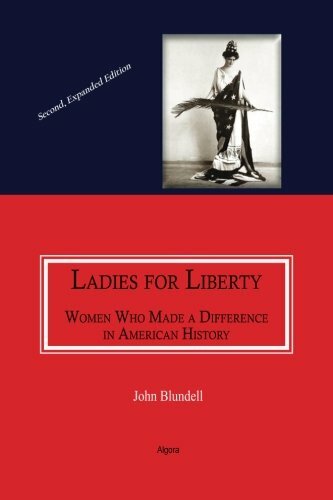 In this 2nd Edition, John Blundell gives a lively portrait of more than 25 American women who spoke out for liberty, helping to shape the political and social fabric of the United States. His subjects range from frontier novelists to suffragists to the inventor of life insurance for women and a tax collector who challenged the IRS. Arranged chronologically, the stories add up to a history of America. 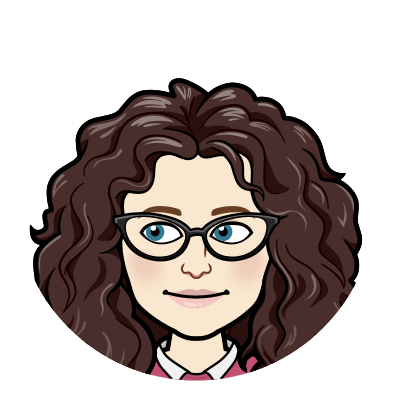 Responses to the first edition were so positive that the author has added five more of the best stories in US Women's History, namely Anne Hutchinson, Clara Barton, Alice Paul, Rosa Parks, and Mildred Loving. 'Ladies for Liberty' combats the myth that women want, and benefit from, big government. In this new, expanded edition of biographies of American women, John Blundell shares further evidence that the spirit of independence has always been a strong impetus for America's leading ladies. He shows that the underlying motivation of the women portrayed in these pages was self-determination as a virtue, and the conviction that individuals should be allowed to pursue their own ends, free from the coercion of others.His selection focuses on women of Conservative/ Libertarian views, whether they were active in politics, business owners, writers or other cultural figures. Black as well as white, these women were revolutionary, some directly influencing the colonial breakaway from great Britain, some fighting for Abolition, others breaking new ground professionally. Each one not only made women's voices heard but made it clear that women have something to say that is both valid and valuable.This book is intended for American and British readers alike, high school and above, and all who are interested in American history, Conservative/ Libertarian politics, or Women's Studies. How have women managed to break through the glass ceiling of the business world, and what management techniques do they employ once they ascend to the upper echelons of power? What difficult situations have these female business leaders faced, and what strategies have they used to resolve those challenges? Junctures in Women's Leadership: Business answers these questions by highlighting the professional accomplishments of twelve remarkable women and examining how they responded to critical leadership challenges. Some of the figures profiled in the book are household names, including lifestyle maven Martha Stewart, influential chef Alice Waters, and trailblazing African-American entrepreneur Madame C.J. Walker. Others have spent less time in the public eye, such as Johnson & Johnson executive JoAnn Heffernan Heisen, Verizon Senior Vice President Diane McCarthy, Wells Fargo technology leader Avid Modjtabai, Xerox CEO Ursula Burns, Spanx founder Sara Blakely, inventor Jane ni Dhulchaointigh, engineering firm President Roseline Marston, Calvert Investments President and CEO Barbara Krumsiek, and Merrill Lynch executive Subha Barry. These women, from diverse backgrounds, have played important roles in their respective corporations and many have worked to improve the climate for women in male-dominated industries. This is a book about women who are leading change in business. Their stories illuminate the ways women are using their power and positions--whether from the middle ranks or the top, whether from within companies or by creating their own companies. Each case study in Junctures in Women's Leadership: Business includes a compelling and instructive story of how a woman business leader handled a critical juncture or crisis in her career. Not only does the book offer an inspiring composite portrait of women succeeding in the business world, it also provides leadership lessons that will benefit readers regardless of gender.